Orlando is a city rich in culture and heritage, and is filled with gorgeous historical buildings. And while it’s the buildings that give Orlando much of its signature feel and atmosphere, their age makes them somewhat more susceptible to rat infestation. 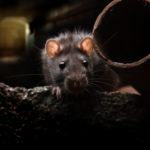 Whether you’re in your home or business, looking for the early signs of a rat infestation is essential to prevent an issue from getting out of hand. Strange thumping or scratching coming from your walls or ceiling, foul odors, or rat droppings may indicate a problem. Rat removal is a job best left to the professionals, so allow the experts at Critter Control® of Orlando to solve your rat issues. Critter Control® of Orlando utilizes and exclusive 4 step process to remove the offending rats, and prevent them from returning in the future. Inspect – When you call us, we dispatch a highly trained animal removal expert to your home or business to inspect for entry points and to determine the severity of your infestation. From there, we work with you to create a removal plan that suits your needs and budget. Remove – The next step is to rid your home or business of your rat problem. We utilize a wide range of cutting edge removal techniques to suit any situation, and we always put your safety first. Repair – Our technicians are more than just animal removal experts, they’re also trained in clean-up and repair techniques. Once the offending rats have been removed, we clean up and repair any damage so it seems like nothing ever happened. Exclude – The final step in our process is to ensure that rats never return to your home or business. We seal off entry points and repair cracks or holes in walls to ensure that rats never become an issue in the future. If you’ve spotted the signs of a rat infestation in your home or business, don’t waste time in seeking professional help. Give the experts here at Critter Control® of Orlando a call today at 407.295.7194 to schedule your free home estimate.